The Hebron Maple Leaf brings joy to the Maple Festival each year. It was always great to see a young boy or girl about three or four years old give me (as the great Maple Leaf) a high-five or a big hug to show that they appreciated me. It’s the greatest feeling, and it’s the reason why I felt like a superhero when I became the Hebron Maple Leaf. I gave out high fives, hugs, and most importantly, I created smiles. Lots of smiles. I felt this strange sort of power like no other, but it was a friendly kind of power. I wasn’t there for any other reason than to spread joy and make them happy. That’s what superheroes do, only they spread joy by fighting crime rather than entertaining. My role was a bit different, but it’s the same concept. In its twenty-six years, the Maple Festival has seen new venues come and go, and some completely changed. I had remembered when I first attended the festival and it was widely accessible with lots of entertainment. The entertainment was still there, but over the years, it had reached a low point. Publicity dwindled down, there were fewer maple sugar houses to visit, and there were no longer buses transporting people back and forth. One of the biggest shockers of all was that no one could find where to buy maple syrup. Previously, the maple syrup had been sold on the village green, but it had now been limited to sugar houses, which were far off from the village green. 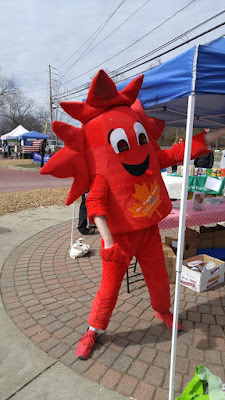 While in costume, I had multiple people ask me, “Where can we get Maple Syrup?” People came from all over to the Hebron Maple Festival, and several were disappointed that it was difficult to find maple syrup at a festival that promoted maple syrup to begin with. The festival was still widely acclaimed, but it just didn’t feel like the “golden years” when I first went to the Maple Festival. 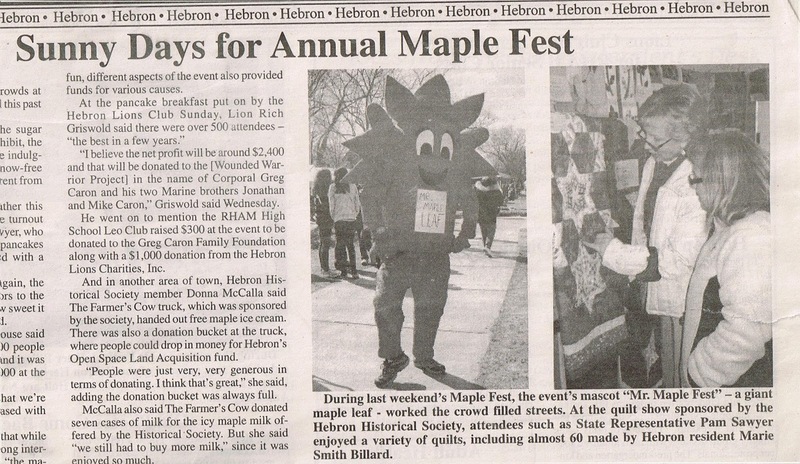 I could only imagine that maybe Hebron was losing its passion for Maple Sugar making? I wasn't entirely sure what I could change. At this time, I had ideas, but nothing I could change all on my own. But I had thought about making some kind of change, if I had the power to do it. 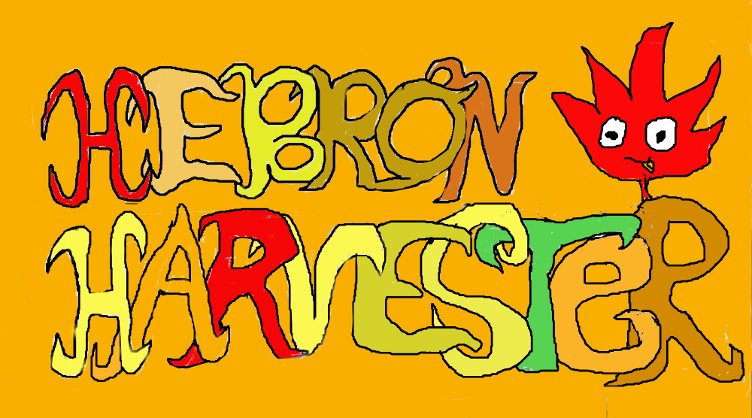 I wanted to make something much more memorable, much more passionate, and much more iconic of the Maple Festival. I wanted to make children and people feel a lot more friendly and passionate. I wanted to capture a “Maple Fest spirit” among the residents who came to the festival. I wanted people to feel passionate about our town and our Maple Festival. 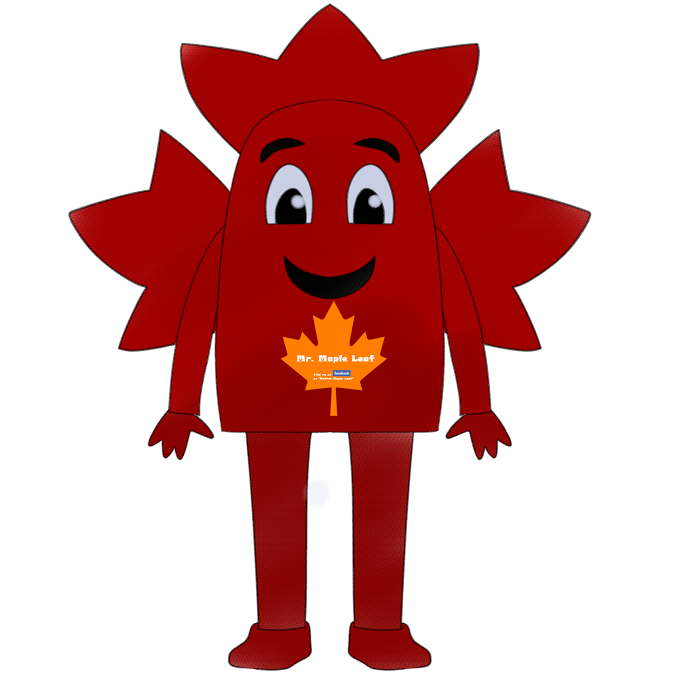 It took me some time to research, but I finally came across a Maple Leaf costume while searching online. I immediately thought to myself, this is it. This is the next big idea. I knew this costume would be something big (and not just because of its size). Previously, there were other mascots at various times throughout the festival, but none of them brought the kind of passion that the festival really needed. Until now. A giant red leaf, in the shape of a cylinder, with spikes protruding out of its head to make the arms of a leaf. It was absolutely ridiculous, weird, and corny, but so perfect. It was the symbol of the Maple Festival. This costume will be the next greatest thing for the Maple Festival, I thought. I never imagined how right I was at that very moment. When I bought this costume, it did raise some plausible concerns. I wasn’t sure if people wanted a random guy walking around town in a Maple Leaf costume. The idea was ridiculous, and it was kind of creepy if you thought about it. I mean, a person you don’t know can see everything through a mask, but no one can see him? 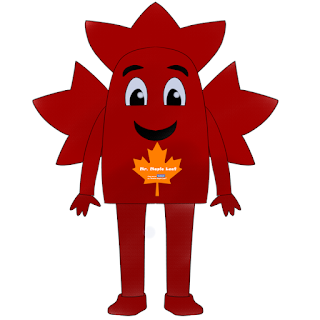 I didn’t technically have permission to become this “official” Maple Leaf mascot. If I put on this costume, I would be doing it of my own free will. I thought to myself, someone has to start it. 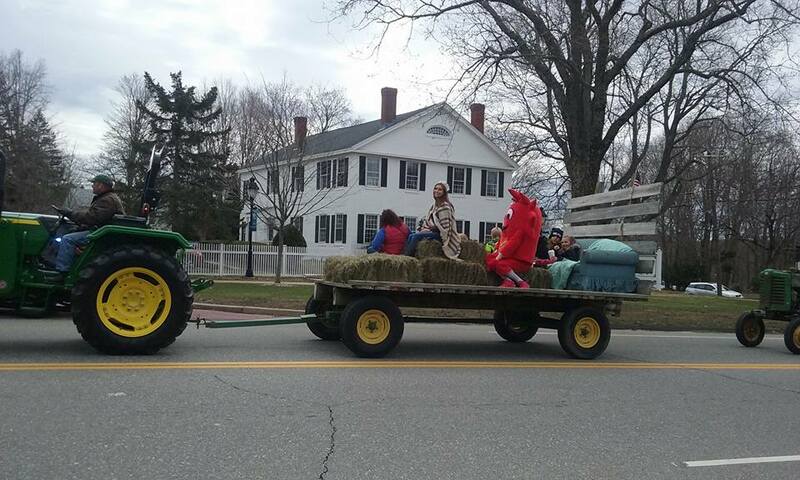 Bringing up the costume to the Maple Festival committee was kind of ridiculous, because it was so unnatural and unfamiliar that I was almost certain they would disregard it. But I figured, what the heck, I’ll wear it anyway and blend in and draw the support of the community. I knew I could make the case for a mascot at the Maple Festival. I had the passion, and whether I was accepted or not, I was going to bring it to the festival. So that began my venture into town, which became a yearly tradition. You might think it’s easy to put on a costume and walk around town, but honestly, there’s a lot of prep work involved. First of all, a mascot is never supposed to reveal his or her true identity. While a lot of people know who I am, I generally don’t go around broadcasting it. Many people still do not know who the real person is beneath the Maple Leaf costume, and I’d like to keep it that way. I had a challenge ahead of me. Where would I be able to put on and take off my costume without being noticed? This was something I needed to figure out. I had to find a spot where I was well hidden, and where I could leave a few of my belongings (car keys, shirts, the costume’s bag) without the fear of them being taken away. I found my secret spot, some ways away from the town green, which wasn’t a distance I couldn’t tackle. It was just one of the much smaller challenges I had to endure if I were to be the mascot. Next, a great mascot needs endurance. I have to be able to stay in the costume for a while, no matter how warm it gets. I usually prepare myself by wearing shorts underneath the costume, bringing lots of water or Gatorade, and extra t-shirts, preferably white shirts that aren’t as hot. Either way, I sweat. Sometimes I’ve sweat through two or three shirts, so it gets very, very hot if you intend on ever being a mascot (especially an incognito one around town). And then there’s the deal with shoes. It was always the shoes everyone noticed. The few who ratted me out for my true identity noticed my shoes. They were the same shoes I had worn as a human. Not very smart on my end, I guess, but children are observant. Although the costume comes with its own shoe holders, they aren’t very supportive to wear when walking around town. I used to spray paint my shoes red, which looked absolutely ridiculous and artificial, until I thought of the better idea of buying red shoes to complement my everyday shoes. So, now I just wear red shoes that match the costume. Took me awhile to figure it out, but I finally realized that rather than spray painting an old pair of shoes or trying to wear the complicated foot holders, matching red sneakers were the path of least resistance. And with that, there’s a lot of walking and a lot of strain on the feet, so one must endure all these perks of being a mascot, even if it means getting blisters. Trust me though, it's not that bad. When they first saw me, they thought I was a red sun or a giant burning sausage. It never occurred to the civilians what I truly was. Then I got smarter, and I put a logo on the costume. Only then they knew to refer to me as the name etched upon the logo: “Mr. Maple Leaf.” There’s still much debate to this day as to whether this mascot is truly a maple leaf or a giant burning sausage, but the identity of the mascot is left for interpretation. A couple times I’ve been asked, “How much do they pay you to be the mascot?” Of course, I never answer them in costume. Most people probably thought I was part of the Maple Festival committee. They probably thought I was a mascot because someone from the town had asked me and forced me to be one, not because I wanted to be the mascot. This was my own purpose from the beginning. No one told me I had to do this. And I don’t do it for money. What makes being the mascot so much fun is that I know I’m passionate about what I do. I don’t think about what holds me back, I only strive to make it work for everyone. There were people waiting in lines to see me, and now they were kicking me out. This lady had no idea what she was trying to get rid of. The people were the ones who wanted me here, and now this lady was trying to take it all away from me. As furious as I was, I had support. Residents were willing to boycott the event if I didn’t show up next year. It was amazing how I could spread so much joy and so much controversy just from wearing a Maple Leaf costume around town. I was only doing the event a favor, and doing it free of cost. But like a superhero, there’s always that idea of not knowing the unknown (which scares a lot of people). But honestly, I think they were just jealous that I became the festival. Eventually, I was allowed back to the Maple Festival. 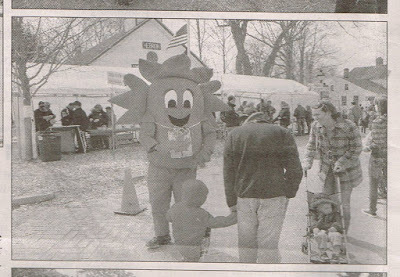 I had fought the town, and new management came to run the festival this year- new management which allowed the Maple Leaf to spread joy around town during the Maple Festival. There were always new challenges to face this year, and there will be more in the future. But this won't stop me from doing what I love. I became a celebrity, and I keep trying to spread my joy in all new kinds of ways, whether it be riding on the tractor parade with Miss Connecticut Teen, taking the bus back and forth, or starting dance parties with citizens at the event. 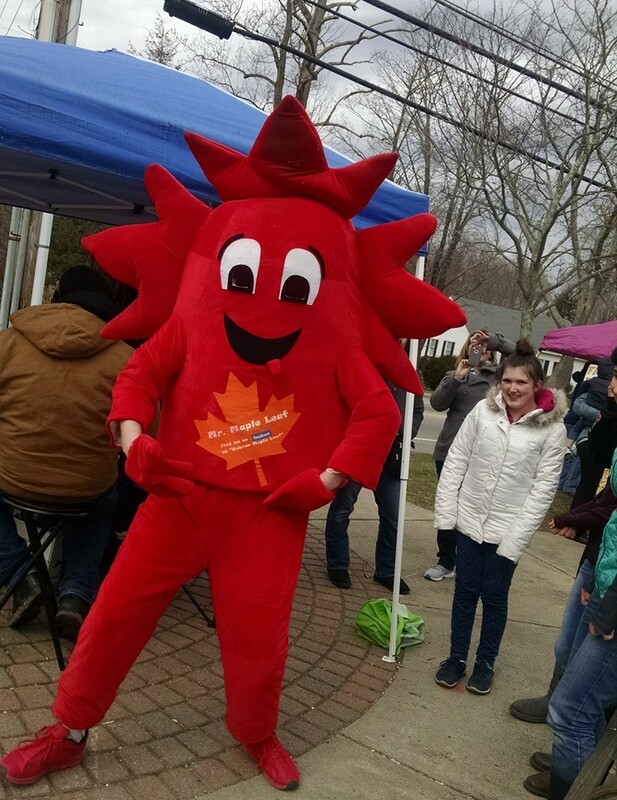 I hope to continue the reign of the great Maple Leaf for years to come as it brings passion and joy to the town during one of its annual events.